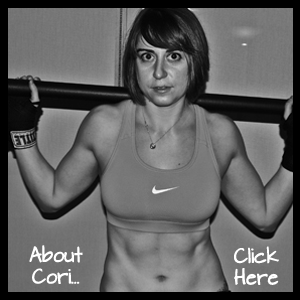 ← Conditioning – What energy system are you working? So today our metabolic workout included, among many tortuous things, the Towel Taz. The Towel Taz has become one of my favorite aerobic conditioning moves. While not necessarily hard if you do it for 10 or even 20 seconds, it becomes brutal at about 30 seconds and completely destroys you if you do it for a couple of minutes. So what is the Towel Taz? It sort of looks like this, especially when you get tired and start to grimace. Trust me…It is harder than it sounds. That towel that at one point seemed light (although the moving blankets we use don’t exactly feel light even to begin with) gets pretty heavy, pretty quickly. And your legs get amazingly fatigued moving around quickly. BUT I also like this move because it is something that anyone at any level can do. AND you can easily do this move even at home…or well…anywhere for that matter! All you need is a towel or blanket. Even a freaking bath towel will work! You don’t even need a lot of room to do this move (just make sure there isn’t anything around that you could knock over with the towel!). So the next time you want to do a little aerobic conditioning, but don’t feel like going for a run or you don’t have a piece of equipment like a treadmill, bike, VersaClimber or elliptical handy, grab a towel! Start with 3 two-minute rounds of Towel Tazes. Try to decrease your rest from 2 minutes in between each round to only 30 seconds between each round. BUT if you decrease rest, make sure that you aren’t doing it at the expense of working hard the next round. It is better to rest for 2 minutes and work just as hard the second and third rounds than it is to rest for only 30 seconds and be super sloppy the last couple of rounds. Once that feels easy try 5 rounds or even up the time that you do the Towel Taz. OR if you are looking for a great metabolic circuit, try the one I did today! 3-4 Rounds of the following 9 exercises, with one minute rest between rounds. Each exercise is done for 40 seconds, followed by 20 seconds of rest to change to the next exercise. Super good! AND lots of different ways to move! Anyone else have any random exercises that they love that look kind of stupid and not that hard but are actually KILLER? Posted on March 27, 2013, in Cardio, Workout and tagged aerobic conditioning, battling ropes, cardio move, Exercise, mma workout, power ropes, sit ups, sled, towel taz, versaclimber. Bookmark the permalink. 2 Comments. It is awesome!!! haha and if they try it, they will REALLY think you are mad!